The Michigan Film Tax Incentive has been approved for the major movie production of ‘Transformers 4′ it was announced today by the Michigan Film Office. According to the Detroit Free Press the film will receive up to $20 million on an anticipated film budget spend of $82 million in the State of Michigan including the City of Detroit. The fourth installment of the of the successful Hollywood film franchise from Paramount Pictures will be the third of the series to shoot in Detroit. Previous filming of the Transformers movies have included ‘Transformers: Dark of the Moon’ in 2011. The original Transformer film also shot in Detroit in 2007. 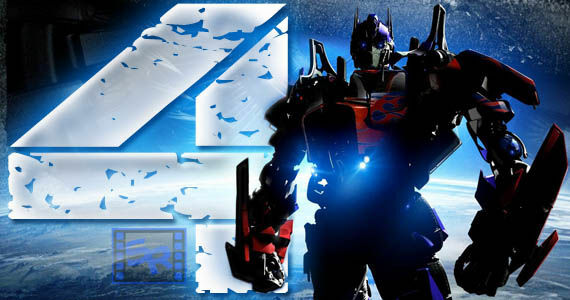 ‘Transformers 4′ will have a much larger film presence and production spend in the state than its predecessors which for ‘Dark of the Moon’ received $6MM on a $17MM film budget in state spend to support the growing Michigan film industry. Carrie Jones, the Michigan Film Office Director, has just released the Michigan Film Office 2010 Annual Report. 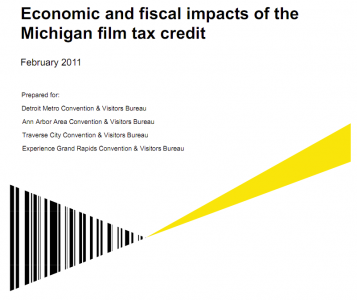 The report is required by regulation and details the Michigan film tax incentive activity for the year. Facts and figures shed light on the films and amounts spent and the film incentive approved for the growing Michigan film and entertainment industry. The key fact for 2010: $293 Million was spent by productions shooting in Michigan. $115 Million in Michigan film incentives were given as a rebate on the expenditures. A net inward spend of $178 Million. Let us repeat this math as so many fail to grasp its simplicity: $293 Million inward spend – $115 Million rebate on the spend = $178 Million in net inward production spending. These are the hard facts the opponents and the destroyer of a growing and flourishing creative industry do not want you to know. 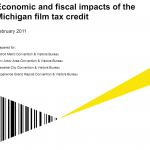 Likewise they don’t wish you to focus on the Ernst and Young Economic and Fiscal Impacts Report of the Michigan Film Credit (below) that for every $1 (one dollar) spent on the film incentives an additional $6 (six dollars) was created in economic activity. 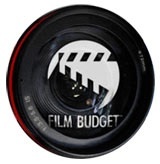 The Michigan film tax incentive programs support film budgets of all levels from $50,000 to over $100 Million Major Studio blockbusters which employ thousands of hard working film crew. The incentive (actually a rebate) provides incentive for inward investment for movie production, television programming, games creation, visual effects companies (VFX) and music recording. 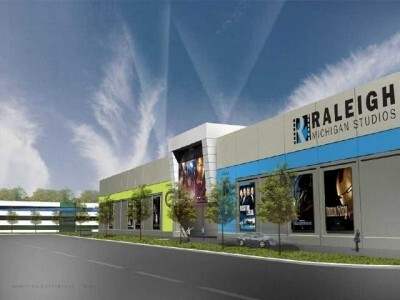 It has launched companies in Michigan dedicated to employe, teach and grow our film crew base and technical assets, including the Raleigh Michigan Studios in Pontiac which is resurrecting an old truck plant and creating jobs. Contact your representative and tell them to save the film incentive program. 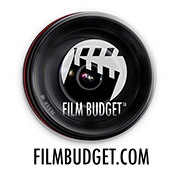 Film finance and film tax incentives require an accurate and proven film budget from a veteran film producer. Filmbudget.com is the international leader in worldwide film budget and schedule services and global film tax credits. 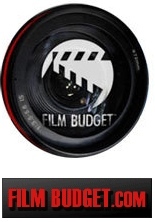 Contact Filmbudget.com to move your production from script to screen. Follow Michigan Film Production on Facebook. 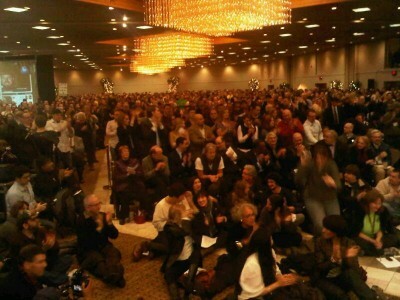 THOUSANDS SHOWED UP FOR THIS!!! 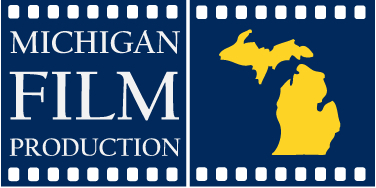 An organizational and informational event to most effectively communicate to Michigan’s legislators, governor and voting public why the film incentive program (among other issues), should be preserved. Laurel Manor (Banquet Center) , 39000 Schoolcraft, Livonia. THURS 7:30. Provided will be various evidence and informational points, legislators’ names and contact info, and strategic methods on conveying the most effective message possible, for legislative officials and districts statewide. All Facebook postings are welcome and encouraged.